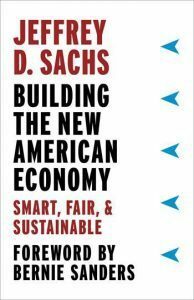 The title of this short book, only 130 pages, Building the New American Economy: smart, fair, & sustainable by Jeffrey D. Sachs with a foreword by Bernie Sanders (Columbia University Press, 2017) is unfortunately misleading. There is much here about the new economy. The misleading part is that there is very little about its construction, how to build the new economy. Sachs covers many important issues in a thorough, efficient fashion. If you need a primer or a tune up about the economy this is a good place to start. These include: investment in our society, infrastructure, Federal budget, income inequality, healthcare, energy, military and the empire (not his phrase), and innovation. If you have been reading my postings over the last 5 or so years much of this will seem a bit deja vu. 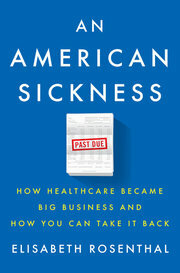 His chapter on healthcare crisply states the basic facts: it is not a marketplace; providers set prices; its performance is terrible; every other developed country sets a national budget and provides universal access; the healthcare system does not deliver health it delivers procedures and prescriptions. Sachs is particularly good on the role of government in innovation. After 40 years of bad mouthing anything the government does by the free-market ideologues (Republican and Democrat) we seem to have forgotten how important government has been to innovation. He could have added that a structural fact about capitalism is its risk averse nature. Despite the endless propaganda about how entrepreneurs engage is risky new ventures, the facts are quite different. If a capitalist cannot forecast a profit stream within a couple of years at the most, the venture is never undertaken. Capitalist have never undertaken basic research. But, let me return to my primary criticism of Sachs. Finally in chapter 12 “Towards a New Kind of Politics” he gets to the building of the economy. He calls for three changes. First, “..a new political process that escapes the halls of Congress and engages the country in new ways.” p. 107 Second “….a political process that transcends the dreary election cycle.” p. 108 Third, “…return to our federal roots by fostering state and local solutions in addressing national goals.” Ibid. Isn’t this third change part of the standard Republican and centrist Democratic policy cookbook? How do we build the political processes that he calls for? His only answers seem to be in chapter 10, “Restoring Trust in American Governance” where he calls for changes in campaign finance, more corporate social responsibility, former politicians should make less money, and “… and most fundamentally, only by acting directly to reduce inequality of income and wealth….can we restore the sense of a democratic system that is truly “of the people, by the people, and for the people.”” P. 111 No where does Sachs address the question of who might cause these changes to occur. Sachs is not just another Nobel economist who has sent his life in the ivory tower. He had extensive on the ground experiences in Bolivia, Poland and Russia. You might think that he would have observed how the rich and powerful manage always to enrich themselves even in the midst of regime changes as in Poland and Russia. Corporations will not magically discover a social responsibility that is structurally not part of capitalism. The rich and corporations are not going to give up the riches and wealth that’s they have struggled for decades to enlarge beyond even their wildest dreams. 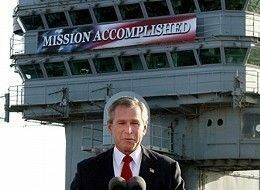 In fact the new politics is hidden in plain sight. Just watch what the rich and corporation do and what they have been doing consistently for more than forty years in their most recent war on society. Strangely Sachs refers to Marx’s concept that government and politics is the superstructure of class relations, then casts that idea off. pp. 97-97 The rich and corporations have always known that this bit of Marxism is right on target. Why else would they deploy tens of thousands or lobbyists in Washington and at every state capital spending certainly 10s of $billions every year to direct the legislative and regulatory processes. Why else would they fund think tanks and university departments and institutes to mold the minds of the young and provide talking heads for the media. Why else do we have a media that reports on the daily, hourly, ups and downs of the gambling on Wall St. what else do you your call all of this trading? The average time a stock is held is measured in less than a day. Can that be investing?? This has nothing to do with the “real” economy, everything with the risky behaviors of our bloated financial sector. So, to build a new economy that might meet more of the needs of the vast bulk of the population, we need to emulate the approach of the rich and corporations, class warfare. They have an ideology, free-market (neoliberal) capitalism, they carry out extensive class warfare directly and through the government. They have the very significant advantage of being few in number so easy to organize. What might be the organization(s) that can carry out class warfare on behalf of the 90%? That is the question. That is your question.